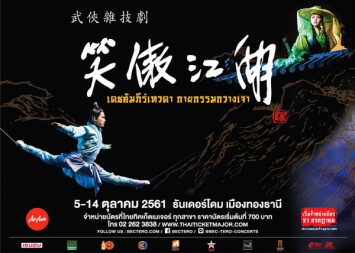 KCON, the global K-Pop and Korean culture festival organized by Asia’s no.1 entertainment content company – CJ ENM and top Korean music television channel – Mnet, will be held in Thailand for the first time on 29 – 30 September at Impact Arena and Impact Exhibition Hall 1, Muang Thong Thani. 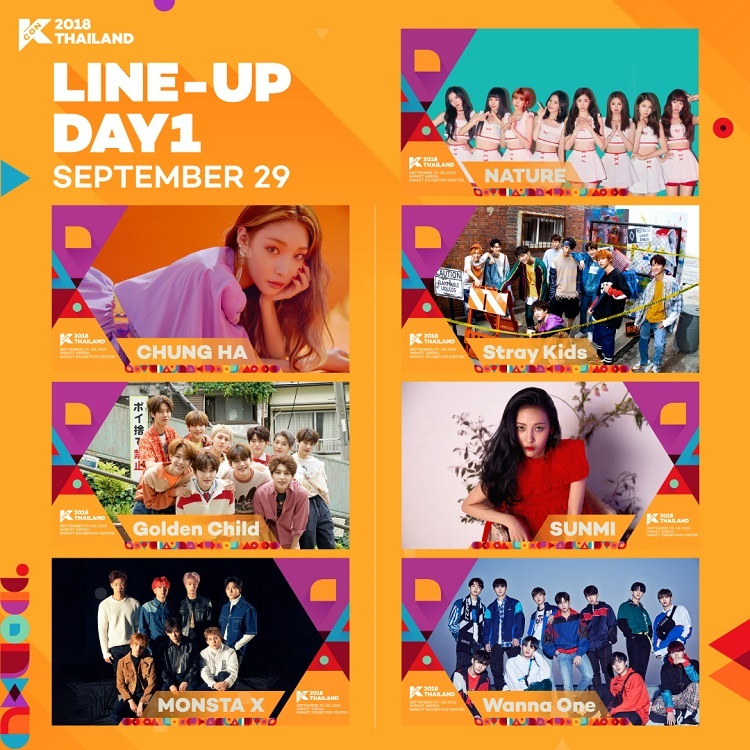 Over the two days of KCON 2018 THAILAND, fans will be thrilled by breathtaking performances from the hottest K-Pop artists including CHUNGHA, fromis_9, (G)I-DLE, Golden Child, GOT7, MONSTA X, PENTAGON, Stray Kids, SUNMI, THE BOYZ, TheEastLight, and Wanna One. What’s more, rookie artists ranging from first-time KCON joiners - TheEastLight. 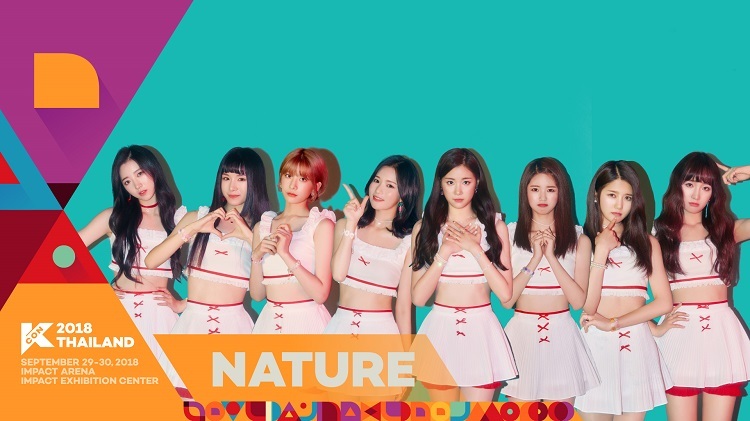 and VARSITY - to the new girl group Nature who will have their first KCON meeting with global fans, are also joining the event. Helping bring rookie artists from the small-medium sized (SME) agencies to global fans, KCON further establishes itself as a win-win platform for SME agencies in supporting the global promotion of their artists. In more exciting news for KCON fans: Nichkhun of 2PM is coming to KCON 2018 THAILAND as a special MC! 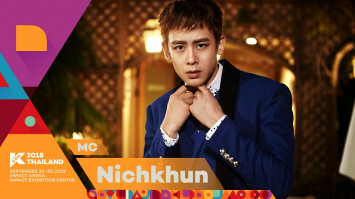 Having earned a lot of fans and a reputation from both Thailand and Korea for his active promotion across the nations, Nichkhun is expected to inspire huge K-Pop fever at KCON 2018 THAILAND. DJ SODA, a Korean DJ with a large overseas fan base, is ready to get on stage as a special DJ, while Wanna One and MONSTA X will be meeting fans up close through Meet & Greets in Thailand. 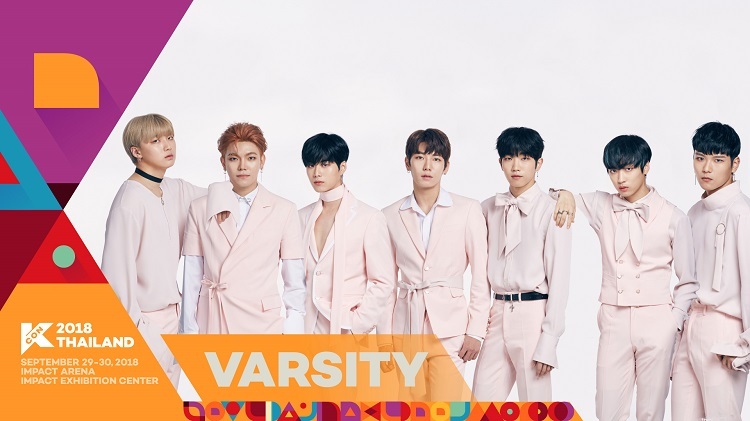 Additionally, the Convention side of the event, to be held in Impact Exhibition Hall 1 from 10am – 6pm on Saturday and Sunday, will feature fun activities including a K-Pop cover dance contest, talk shows with Korean artists and well-known Korean Wave influencers, plus workshops related to Korean culture, food and cosmetics. Fans will enjoy the full K-Pop experience unlike anything they have experienced before. 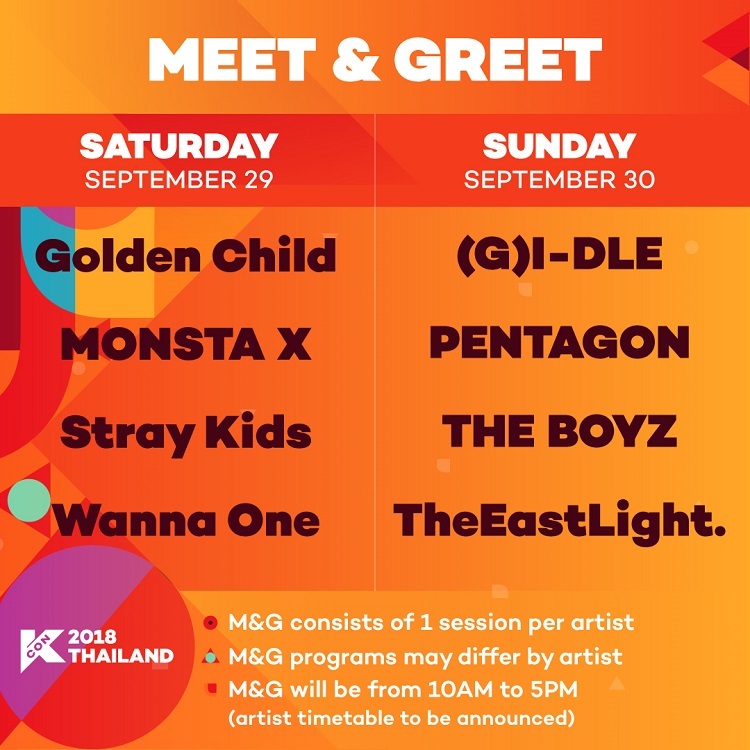 On both days of the event, exclusive Meet & Greet sessions will be held with Golden Child, MONSTA X, Stray Kids, Wanna One, (G)I-DLE, Pentagon, The Boyz and TheEastLight..
As the world’s leading Hallyu convention, KCON incorporates K-Pop concerts with a marketplace showcasing a variety of Korean trends and lifestyle - K-Food, K-Fashion, K-Beauty, K-Drama, K-Games and more. Started in 2012, KCON has grown exponentially and expanded worldwide with KCONs held in UAE (Abu Dhabi), France (Paris), Mexico (Mexico City), Japan (Tokyo), Australia (Sydney) and the U.S.(New York, Los Angeles). In total, KCON has attracted more than 780,000 Korean culture fans around the world. Now, for the first time in South East Asia, Thailand has been selected as the next destination for KCON this September, following successful events held in Japan and U.S. (New York, Los Angeles) in 2018. 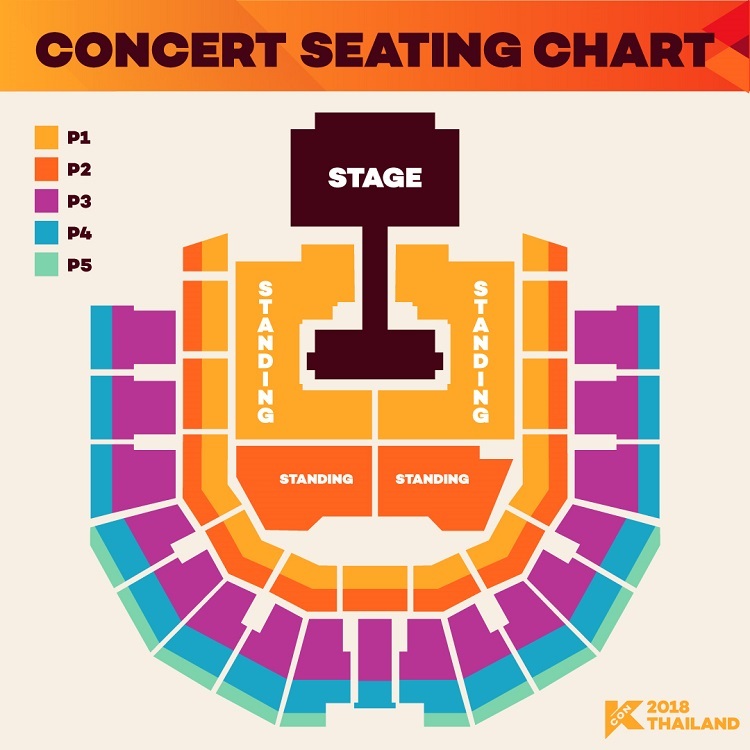 Don’t miss KCON 2018 THAILAND. 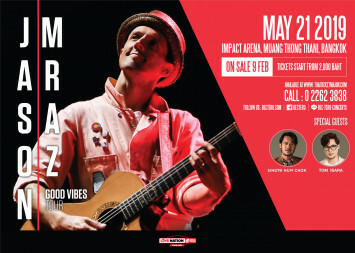 One-day concert tickets start at Bt1,800 and two-day Combo tickets start at Bt3,500. Concert ticket purchasers also gain entrance to the Convention and have the opportunity to buy tickets for exclusive Meet & Greet sessions to meet their favorite idols, and win special prizes. One-day Convention tickets are available at Bt500. Concert tickets go on sale at 10am on Saturday 25 August 2018. 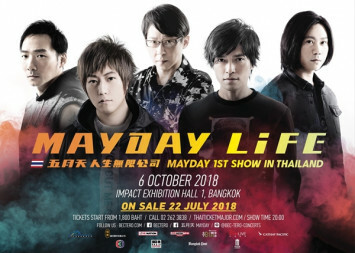 Meet & Greet tickets (for concert ticket purchasers in P1 and P2 categories only) also go on sale at 10am on Saturday 25 August 2018 at all ThaiTicketMajor outlets and at www.thaiticketmajor.com. Convention tickets and Meet & Greet tickets for all other concert ticket price categories (P1 – P5) go on sale on Saturday 1 September. For more information, please call0-2262-3838. 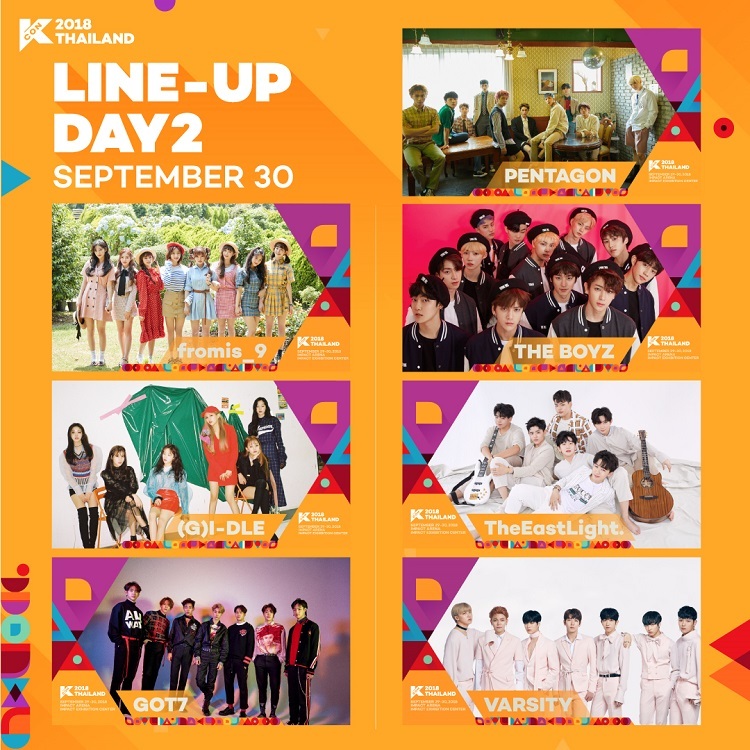 For the latest updates about KCON 2018 THAILAND, please log on to http://www.mwave.me/kcon or follow us at KCON Global Facebook (www.facebook.com/kconglobal) and Twitter (twitter.com/kcon_global).